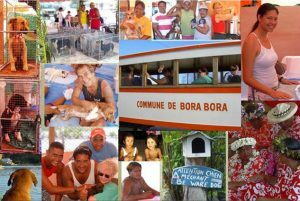 The Foundation’s spay/neuter & humane education programs extend beyond the Esther Honey Animal Clinic to field clinics on remote outer islands and additional South Pacific island nations. 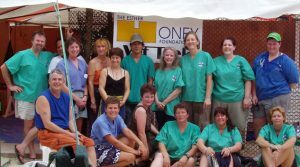 The first EHF VET TREK® occured more than 22 years ago, in 1995, within months of the Esther Honey Foundation’s arrival in the Cook Islands. EHF volunteers traveled by plane and by freighter to reach animals in need on remote outer islands. 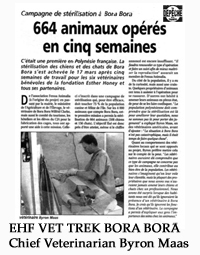 The first VET TREK® provided service to 4 islands, and treated 116 animals. 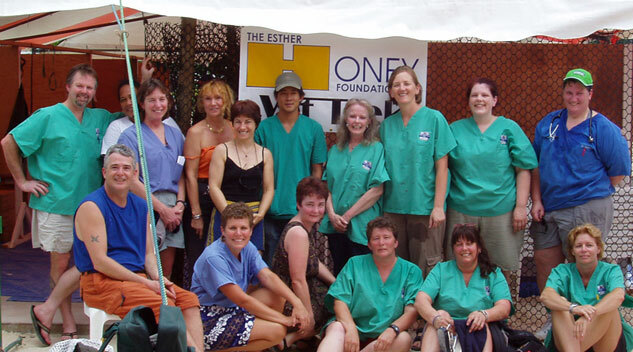 EHF has since conducted 118 free clinics on 7 South Pacific islands treating 4,164 animals who would not receive care without the Esther Honey Foundation. VET TREKs® benefit island animals by humanely decreasing their number through sterilization and improving their health conditions. 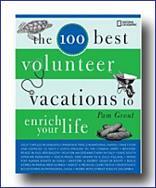 VET TREKs® also beneft island nations’ economies by addressing tourists’ ever increasing concerns for the welfare of animals in the countries where they travel. EHF’s success in creating programs that reach thousands animals previously without care lies in its development & continuing relationship with its network of partners, donors and supporters. The island nation governments work with the Foundation to establish Immigration and Customs protocols that permit EHF to provide service in their countries. The businesses, organizations & individuals who participate in our programs allow EHF to offer benefits to volunteers such as discounted airfares, housing, meals, transportation & academic credit. See a list of our generous sponsors, donors and supporters.